Last weekend I was invited on an unexpected road trip to Aspen “just to look around”. Yes, of course I’ll go! And, fortunately, I-70 out of Denver had so much traffic that the GPS routed us along Highway 82. 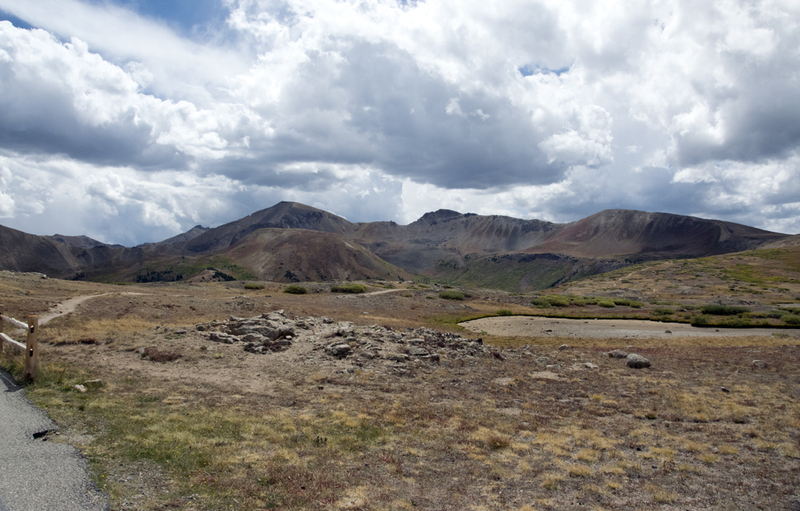 This was fortunate because it led us through Independence Pass, a place I’d wanted to visit for a while now. 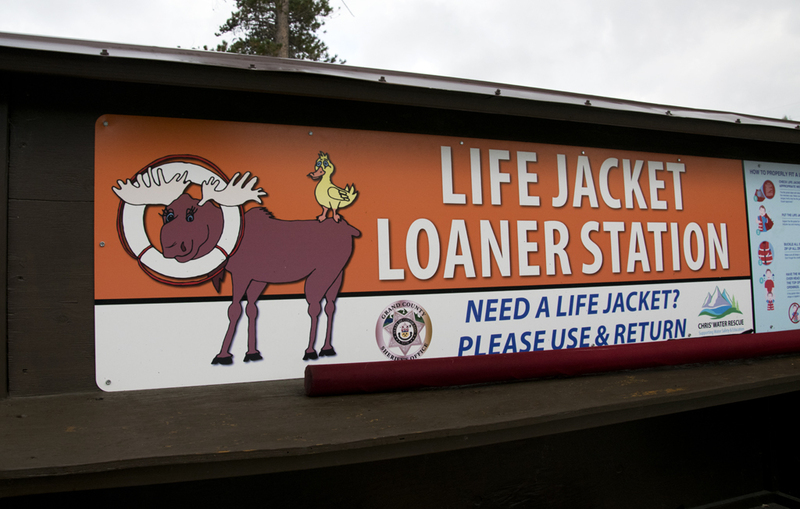 This picture – particularly the shape of the sign – reminds me, as so many I take around here do, of photos I’d seen as a child from relatives’ trips out West. Right? I have a fascination with the Continental Divide, not sure why. It’s the line through the Rockies along the highest ridges that divides the rainfall into what will flow east to the Mississippi and what will flow west to the Pacific. I even mention it in my ESL podcast. Because my friends hadn’t planned the route and I hadn’t counted on the road trip at all, all this was a delightful surprise. And a good opportunity to dig a little into the facts and history of the area. 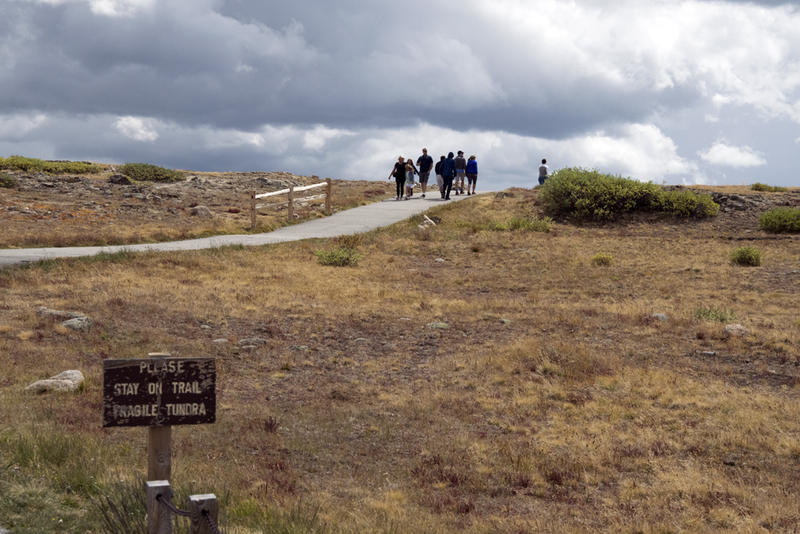 Fact: It’s above the tree line and that means the terrain is classified as alpine tundra. 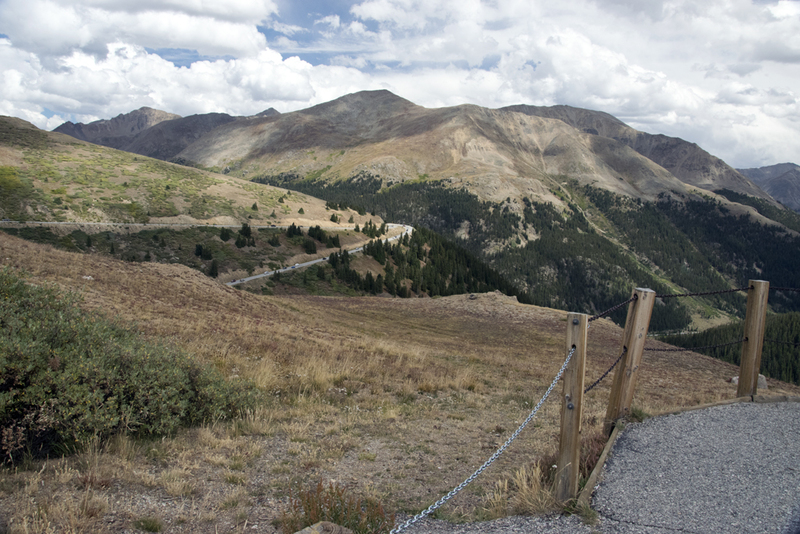 The Independence Pass Foundation of Aspen looks after the environment there and tries to repair the damage to the tundra caused by the road and the many visitors. Of course there is a scenic overlook where we stopped, apparently the highest spot. 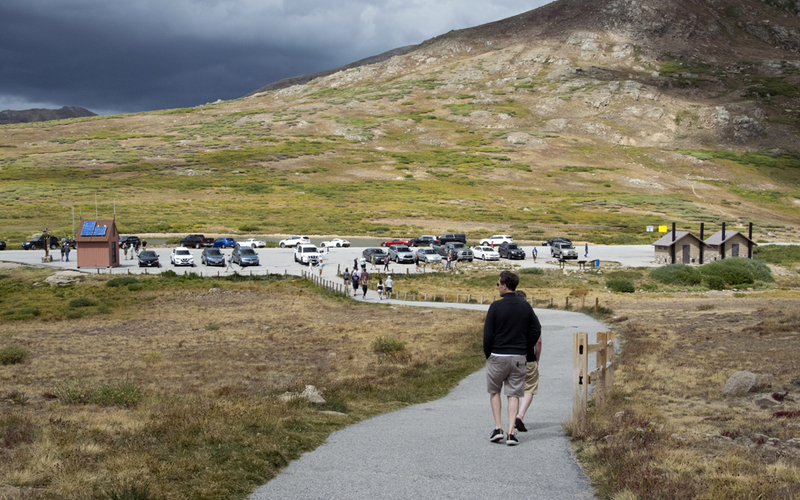 From the parking lot, there is a trail you climb a short way to the scenic overlook. The man on the left in the above photo standing on top of the rock outcropping was shouting to the person taking his picture that he was on the highest spot. “I don’t think so,” said that person! Tourist. 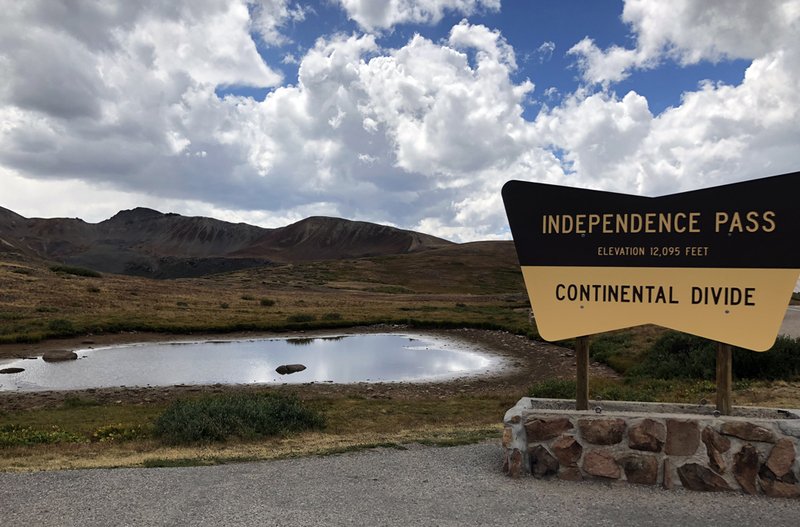 Some people consider Independence Pass to be not just this high point on the Divide, but the whole stretch of the road between the winter gates, which are closed when the road is impassable. That’s a 32-mile stretch, and skiers have to come into Aspen from the west via I-70 during that time of the year. Incidentally, the road between the Pass and Aspen is only one lane in places. Yikes! One of the peaks (to the east, but it was cloudy and couldn’t see the sun so I don’t know which one) is the highest in Colorado, Mt. Elbert. 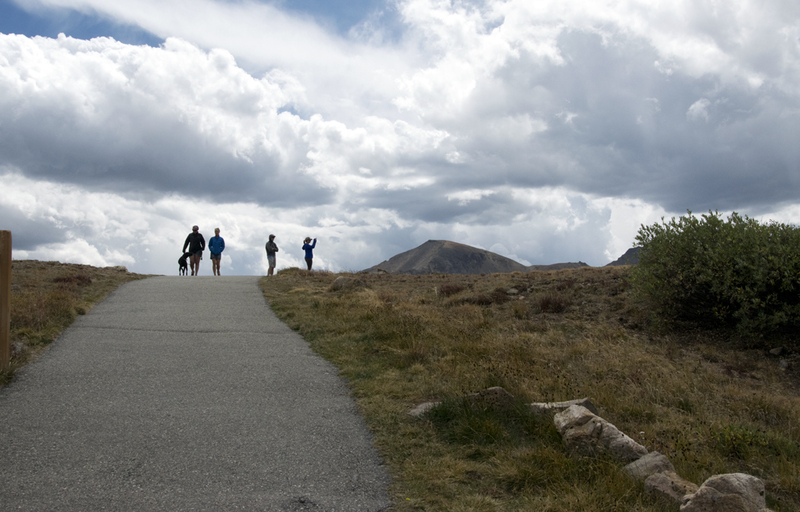 Elbert is the second-highest peak in the lower 48. 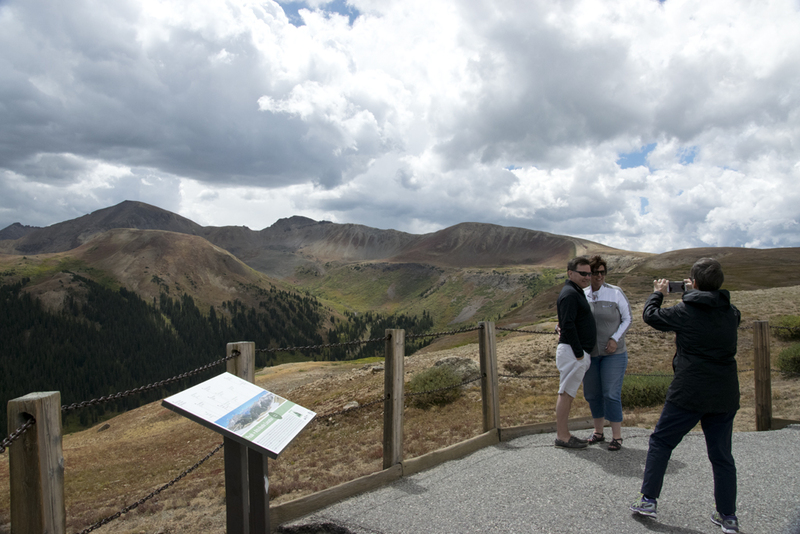 The pass is the highest elevation of a paved Colorado state highway, and fourth-highest paved road in Colorado. 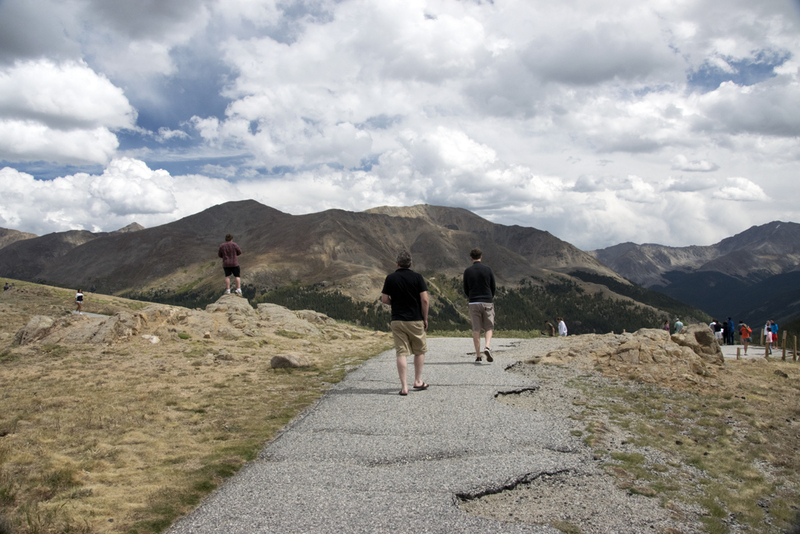 One of the others might be Trail Ridge Road in Rocky Mountain National Park, which I DROVE the previous weekend! White-knuckled adventures lately. Speaking of white knuckles, rock climbers travel some of the unpaved paths from the overlook to the nearby peaks, backcountry skiers come out just before the winter gates are closed and just after they’re opened to traverse the snow fields. Prospectors crossed the Continental Divide, against the law, on July 4, 1879 (greedy bastards), which is why it’s named Independence Pass now. There is also apparently a ghost town named Independence to the west. I didn’t see that, though. Plus there used to be a toll road through the pass until the railroad connected to Aspen in the early 1900s. The twin structures on the right are what they call vault toilets, which I had to look up. It’s a restroom design that’s basically a glorified porta potty built into a foundation in the ground. It doesn’t require any plumbing (because there is none) and is better for the environment. It’s engineered so that the airflow keeps the smell down. Most of the time. 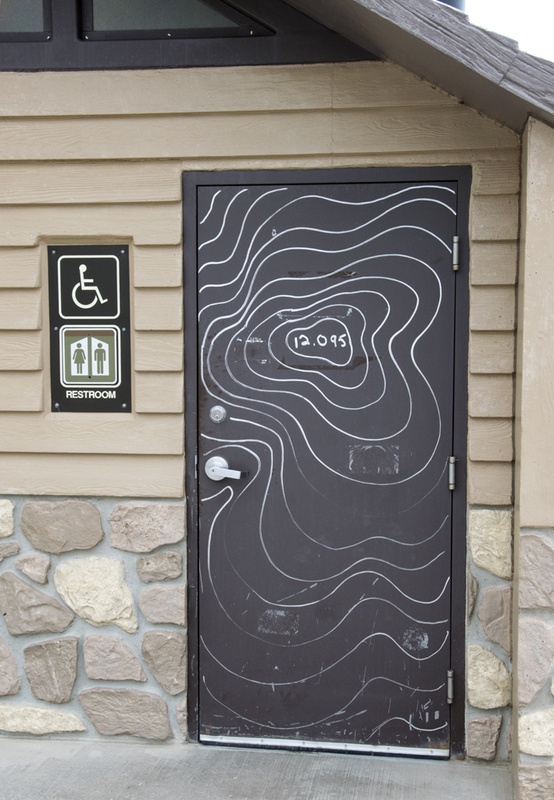 They cleverly put a topographical map on the restroom door with the elevation noted. You are here! 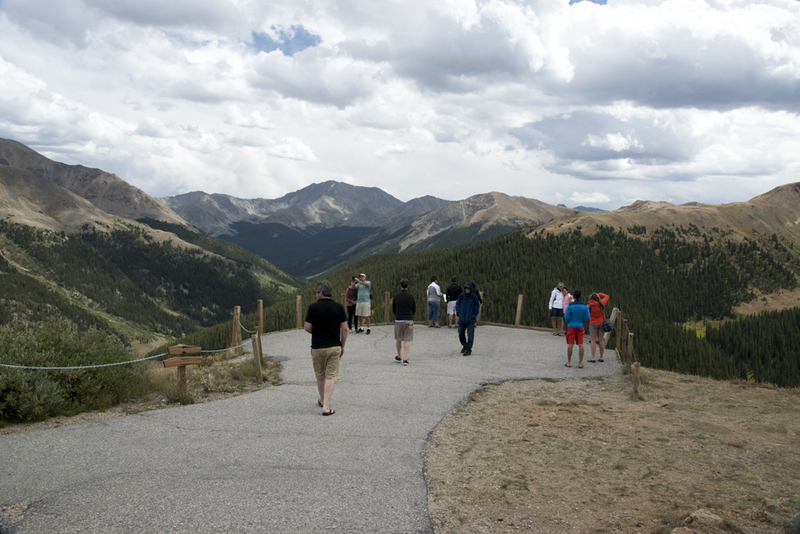 But back to the overlook: Don’t let the shorts and tee shirts fool you. At 60 degrees with a very chilly wind, it was frickin COLD up there! Also worth it. I found the air very thin. I like to think I’ve gotten used to mile-high breathing, but this was more than twice the elevation of Denver! And I was out of breath climbing that small rise in the path, I must tell you. But totally worth it for those views! Of course the overlook and pass are open 24/7 unless it’s winter. So I invite you to climb in your nearest 4×4 and head up into the Rockies for this stunning view. And you can also see things like a Harley rider sparking up a doob in front of the Independence Pass sign before roaring off down the mountain! Welcome to my state!